"Snitches get stitches." It's a pretty old saying. Also is "there's no honor among thieves." You kinda got two sides there. And that's the balance you're going to have to find in Snitch, a new card game that's up on Kickstarter now. 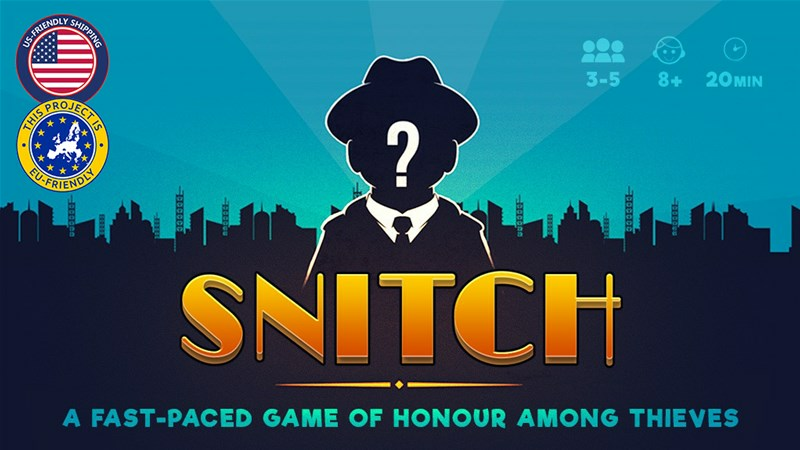 Snitch: A fast-paced game of honour among thieves. Fans of social deduction games will want to check this one out. The concept for Snitch started in London. It has been refined through several sessions at local playtest groups and presented at UKGE 2018. With art and design already complete, Snitch is now available on Kickstarter for £12 ($16 in US) + friendly shipping to US and EU. Slight Games have spoken to manufacturers and fulfilment companies already and plan to deliver the games to backers by May 2019. ABOUT THE GAME You and your friends are gang members in a new city, trying to climb your way up to become the richest crime lord. You will be completing a series of heists, each requiring different set of skills. At every heist, you will have to make a choice: work with others, or snitch on them? You start with little money and a team of 10 thieves (cards) of different skills. 3 of them are Snitches. Each round, the leader selects a heist by drawing from a central deck to reveal the required skills. Everyone discusses who should contribute which thief toward the heist, but ultimately makes their own choice secretly. After the cards are revealed, the heist can either succeed or, if too many snitches have been played, fail. Depending on this outcome, different gang members are rewarded. After 8 rounds, most sly gang member with the most money wins. 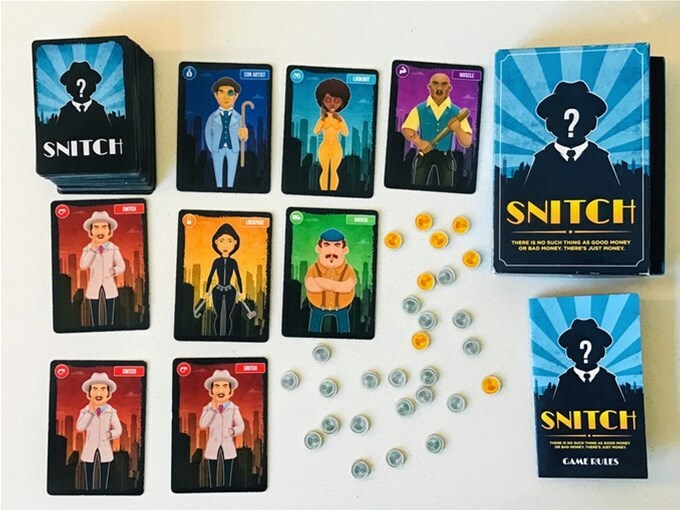 Snitch combines social deduction with prisoner's dilemma-style decision making. This is a game with short turns, lots of interaction and plenty of betrayal. Plus, for a large crowd, 2 copies can be combined for frantic games for parties of up to 10 people. The campaign's about 2/3 funded with still 25 days left to go.